DARIEN — As the 200th anniversary of the town approaches, a new downtown development could be one of the major changes to the historic town. 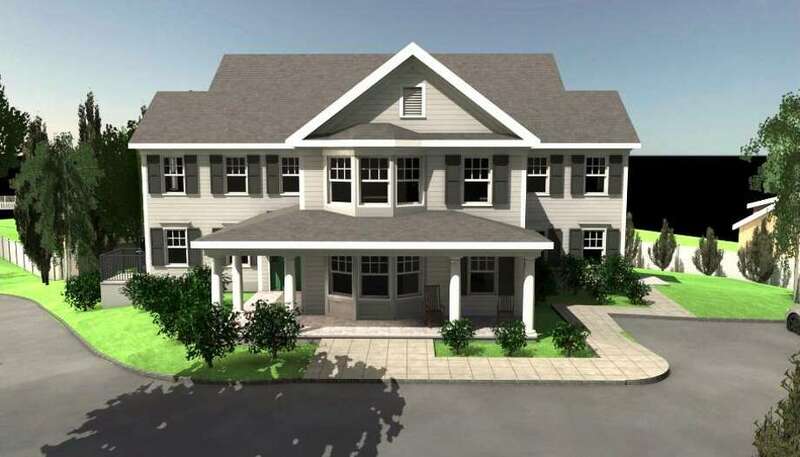 On Nov. 13 the Planning and Zoning Commission discussed Baywater Housing Partners’ proposal to place 12 apartment units in two buildings on 26 East Lane. Each building would be 4,500 square feet with six parking spaces. The proposal is a piece of Baywater Properties’ plan to build 117 apartment units downtown along with retail and office space. The commission agreed to have the affordable housing designated for developmentally disabled applicants. By excluding the senior component, they said they hoped to reduce the intensity of use. Planning and Zoning Chairman John Sini said eligibility for residents will be defined by Section 1-1g of the Connecticut General Statues, which defines a person of special needs. “Per Connecticut General Statues intellectual disabilities is defined as a significant limitation in intellectual functioning and deficits in adaptive behavior that originated during the developmental period before 18 years of age,” Sini said. The commission also agreed on having the units on East Lane have an income limit set at 80 percent of state median income, which as of 2017 was around $46,000 for an individual. Elizabeth Riva, member of the commission, said she was inclined to approve the increase because it would open up opportunities to more people. “I’m not comfortable deciding on who’s needier,” Riva said. Sini said there could be an individual who has intellectual disabilities and makes more than the previously proposed income limit of 40 percent of SMI. “We want that person to be eligible as well,” he said. This would open it up to the widest possible population, Sini said. Planning and Zoning would confirm eligibility for income requirements. The Department of Human Services would confirm eligibility for residents based on Section 1-1g of the Connecticut General Statues. To address concerns of pedestrian access and safety issues the commission asked that a crosswalk be added on Old King’s Highway North. The commission hopes to vote on the proposal at their special meeting on Nov. 27.